Naqshibandis, Qadiris, Bektashis, all Sufi lodges and groups were the carriers of Anatolian Islam, which emphasised controlling your hand, tongue and belly, compasssion and perfecting one’s spirituality and morality. However, in the last period as a result of Islamists we are witnessing a politicisation and radicalisation of tariqas and becoming a source of recruitment for jihadist groups. The political Islamic strand called ‘Islamism’ was born out of a reaction to the invasions and imperialism against the Islamic world towards the end of the 19th century. From the end of the 19th century till the end of the 20th century, which can be called the ‘age of schisms’ (Liberalism, socialism, fascism), Islamism and Political Islam also found a voice among other ‘isms’. Muslim intellectuals who saw the West or were influenced by the West began to think that the only way to fight against the great powers as the ummah\Muslims was through building an Islamic governance. To this end, as with other ‘ism’s, they sought to take over the government and the economy and by doing so they tried to transform the society and the state. Political Islam influenced and dragged Muslims to its cause, whether they are Sunnis or Shias. Political Islam, which appeared as a reaction to the overwhelming economic, political and cultural hegemony of the West, valued the state rather than the individual, and was based on power-institutions rather than ethics-principles. With a deductive method they believed that they would vanquish evil (or the ‘order of kufr-disbelief) by gaining power and taking over the state and starting an Islamic governance. They though that the only way to build a value-based society made up of practicing believers with good morals was by taking over the state and with the power they have transform the society and the individual. Democratic Political Islam: En Nahda in Tunisia and Millî Görüş Movement (‘National Vision’) in Turkey are movements that try to take over the state through democratic means such as elections. Revolutionary Political Islam: These are those who choose to take over the governance through revolution, such as Khomeini in Iran and Omar Bashir in Sudan. Jihadist Political Islam: El Qaida, Boko Haram, ISIS are paramilitary groups that are examples of this category which try to set up an ‘Islamic State’ through armed forces. Political Islamic strands have been very influential on Islamic societies in the last century. It was attractive for religious, educated and particularly young segments of the society, because it was based on slogans, because it was reactionary, used symbols and was seen as the basis for modern political movements. The traditional Islamic strands, such as the schools of Sufism, which use what we call the Prophetic Method, were concerned with the individual, and tried to instill values in each individual. They were thinking that a value-based society could only be built from the bottom up by individuals with values.This traditional method seemed very difficult to implement and to take very long for Islamist movements, who were excited and wanted to achieve success in a short time. For this reason, certain Islamist intellectuals turned towards political Islamist methods that will bring them to power in a short time, instead of building a value-based society made up of ethical believing individuals from the ground up. The Sufi lodges and Sufi schools which valued the invidiual, the family and ethical demeanour, which have been influenceing muslims for more than 1000 years, have failed to Islamist movements. From another perspective, traditional Islamic movements could not renew themselves according to the needs of the age. They became insufficient in attracting and convincing young people. On the other hand, the young people were lured to the political Islamist movements which appealed to their emotions, satisfying their enthusiasm, as a result of the West’s exclusion and sometimes humiliation of Islam, Israel’s persecution of Palestinians and the modern world’s silence in the face of these realities, and finally the oppression and persecution of Muslims across the world. Observant, educated and enthusiastic youths preferred the Islamist strands and parties instead of the other ‘ism’s where they and still show similar reflexes and use modern methods of protest. There were also positions where they could express themselves and satisfy their egos, there were titles (leader, manager, minister). In the case of the movement’s success in gaining power, there was also the opportunity of attaining a political position, economic gains, and positions in the state departments. For political Islamists, Machiavellian methods were nothing to be shunned. They could comfortably use democracy, liberalism and freedoms for their means; and they did not give importance to these outside of being ‘means to an end’ for them. The Islamists did not only have a pragmatist view on the West’s universal, democratic values, they also shared the same views on basic Islamic values. To become the governing party and gain power they could instrumentalise everything, could legitimise all kinds of means, and they could intepret the teachings of the Qur’an to their heart’s content, muddling the difference between good and bad conduct. On their path to taking over the state and gaining power, they were giving new meaning to propaganda, party, slogan, things that are productions of modernism and don’t exist within the faith, and consider them as a type of ‘worship’. Most of the time, shouting slogans and hanging fliers were enough to be a ‘man of duty’. Ethics, a moral lifestlye, worship, fear of God, abstaining from sinful acts and doing prescribed religious duties were seen as ‘personal matters’. The Political Islamists were doing a ‘much more important job’, doing great work such as ‘saving the ummah’ and ‘opening the doors for the nation’. If you were going to the party meetings and joining organisational activities and rallies, your religious practice did not matter that much. Shouting slogans could be more valuable that reading the Qur’an correctly and beautifully. On the contrary, Sufi lodges and other religious communities encouraged individuals to be better believers, to engage in meditation, dhikr wroship and take care of halal and haram, and these were hard things to do for Political Islamists! Although they took over the state in different shapes and forms in different countries such as Iran, Sudan and Turkey, they were not successful. They controlled the power but they could not produce a value-based society made up of ethical indivduals praised in the Qur’an and by Prophet Muhammed. But they have deeply affected and transformed Muslims. This effect is persistent in degenerating morality and geenerations of people. Iran, Saudi Arabia and Sudan are run by Sharia laws and nominal Islamic lifestyle, but they are wrought with substance use, unethical conduct and injustice. Islamists not only degenerate their supporters, they also degenerate sincere religious groups and Sufi tariqas; they degenerate them through money, positions and opportunities. In countries where Islamists are active, tariqas and religious groups are seen as cheap votes. To ensure their support, Islamists make them addicted to the government by showing them the stick or the carrot. The last decades of AKP government give us some striking examples of how they use religious groups for their politics. As can be observed in the last few years, they give buildings and land and provide tax reduction to tariqas and religious groups and by doing so they gain the complete loyalty of these groups. ON the other hand they declare tariqas and groups that oppose tem as terrorists and suppress them with the power of the public. They also give building contracts to the top level people of these groups and tariqas, give them trade priorities, place their children in high positions and thus they degenerate them and make them their puppets. This causes the tariqas and other religious groups to lose their sincerity and morality, and prevents them from doing thing pleasing in the sight of God, and turns them into business holdings. They change from groups inviting people to do good and discourage them from bad deeds, to groups that are partial to political parties and legitimisers of the dirty work and connections of political groups. Even the democratic strand of Political Islamists are prone to violence. Jihad and martyrdom are the main themes that islamists abuse and utliise. It’s not hard for an Islamist movement that started on the path of democracy to be radicalised and turn to weapons and violence. Because the aim is the state and power and to achieve that one is allowed to twist things and get off the tram and get on a new one. Theft, hums, fornication, mut’a marriage and manslaughter can be considered ‘jihad’. The opposition can easily be labeled ‘traitors’ and ‘heretics’. Their transformation into Machievellians and opportunists is only aided by the fact that tariqas and certain reliigous groups do not distance themselves from the rulers and power. This intertwined reliationship with power and economical and political dependency makes it possible for tariqas to be politicised and radicalised. Also, the pleasure of being involved in politics, the worldy satisfaction, comforts, and being rich-famous and with a good position through shortcuts also attract religious group members to politics. The politicization of the top people of religious groups and their relationship with the political Islamists result in the militarization of the uneducated and young people among the religious groups and their radicalisation. The use of enmity against Israel-the West-Imperialism and the victimhood of Muslims in Islamist rhetoric result in the gradual radicalism of lower and middle level of Muslim groups and drags them into violence. When the young and enthusiastic masses are full of revenge for the oppressed Muslims and exhilarated with slogans, they can easily become prey for sinister and dark groups like ISIS, El Nusra and Boko Haram, as a result of this atmosphere. Are radicalised intolerant groups ready to shed blood, replacing the Sufis, examplars of patience, compassion and moral values? The AKP and Erdoğan’s efforts of designing and covert operations againts these groups cause them to be divided and full of hatred, leading them to shed blood even among themselves. Two groups from the Charsamba Religious Community fighting each other and causing 150 people to be injured because of their disagreement on ‘praying for Erdoğan’ at the Holy Precincts is another example. The fact`that this happened in holy land shows the gravity of the situation. We do not know how many people joined to jihadist groups from the tariqas as a resuult of the violent rhetoric used by Erdoğan and AKP to keep their government going through polarising and dividing politics. 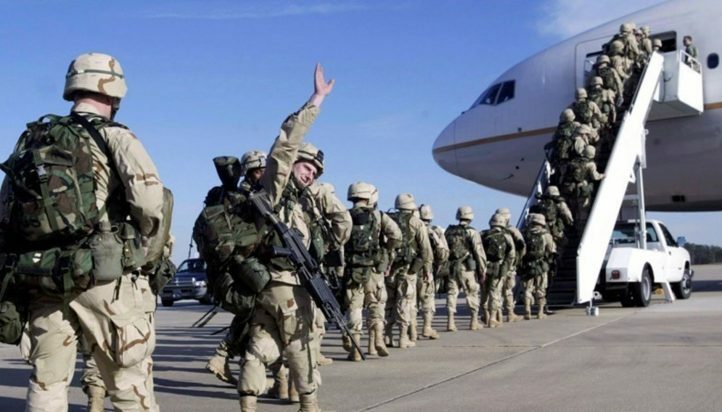 However, it is well known that the numbers of people from Tariqas and Sufi lodges joining the fighting factions in Iraq and Syria are fast increasing. The radicalisation of tariqas have a close connection with the transformation of AKP. When setting on their path AKP had declared that they had parted ways with their Islamist past and they were now following the criteria of democratic legal norms and the universal values and human rights upheld in the West. However, they have changed a lot on their path. 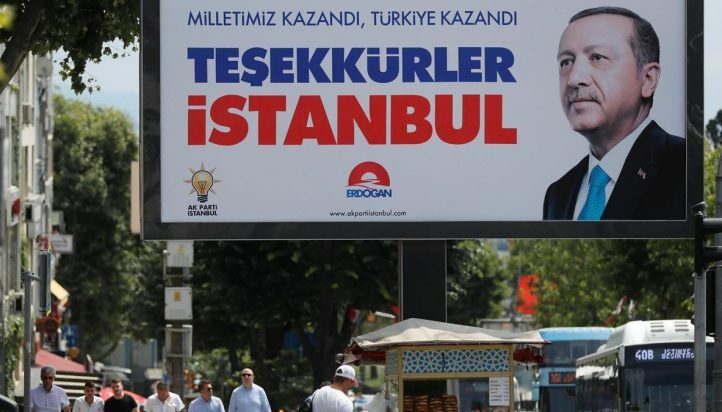 The Erdoğan government which upheld democracy, laws and human rights in the first two periods put on the Islamist gown after the 2011 elections once again. They parted ways with the liberals and democrats and discarded them from the party and the state. They made sure that Islamists and Mill Gorus affiliated individuals were placed in the important positions in bureaucracy. They also engaged in dialogue with armed-non-armed Islamist groups in the Middle East and the Muslim world with the aim of becoming the leader of the ummah. To be effective in Syrian and Iraqi politics they got in touch with armed jihadist groups. 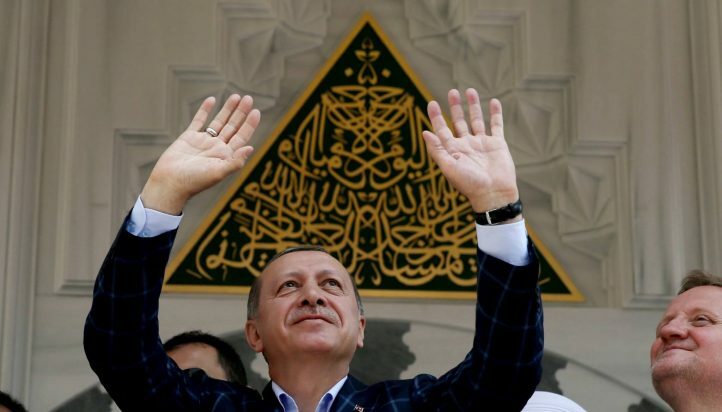 Abroad, while AKP was in close relations with Islamist groups, it was turning the country into an authoritarian, one-man state in the person of Erdoğan with all power in his hands. Erdoğan had now disposed of freedoms, democracy, human right and returned to his role as an Islamist. However, Erdoğan is even far away from the ‘Democratic Islamist’ model today. Because he has shown the world on 7 June 2015 ve 15 April 2017 that he is not going with elections and eradicated the possibility of competitive, monitored and transparent elections. İn parallel with the changes in AKP (as a result of the long arm of Erdoğan in tariqas) many tariqas and religious groups were being openly politicised and radicalised. Certain tariqas embraced Salafi jihadist discourse, rhetoric and behaviour. 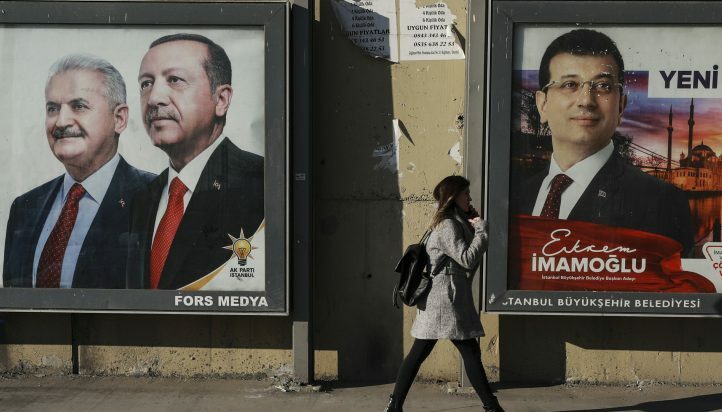 They started to make statements such as, it is fardh to vote for Erdoğan an AKP, and that the elections are a ‘struggle between faith and infidels’. Tariqas which were staying away from expressing their political leanings were now making their side clear. They were joining AKP and Erdoğan rallies openly. Those who do not know Islam very well may not realise this, but there is a huge difference of understanding between traditional Sufis lodgges and radical groups and ISIS militants whose traditional clothing and appearance may appear similar. The biggest antidote to extremists and radicals have always been Sufi lodges which represent a tolerant and love-centred core of Islamic worldview. Sufi tariqas and traditional religious groups of Muslims have the potential to hinder the tendencies of violence and radicalism among Muslims. Tariqas and Sufi lodges can be a barrier to radicalism and jihadism. Particularly in Erdoğan’s Turkey, tariqas and religious groups are dangerously being pulled into a vortex of politics and radicalism. 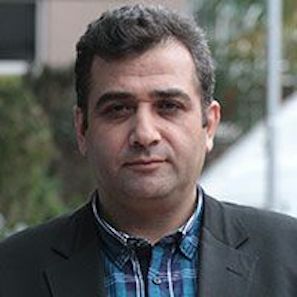 Mahmut Akpinar is an Associate Professor of Political Science. He taught Turkish politics, Middle Eastern politics, Turkish political history, public administration and bureaucracy at both undergraduate and graduate levels.